I never knew “the Doctor,” who died some years before I was converted. But his books and example have had a formative influence on my life and ministry. 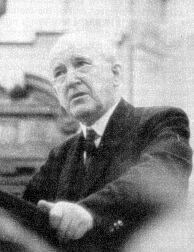 As a new believer in my late teens, I read Martyn Lloyd-Jones’ Prove All Things (1985). Most of the Christian literature I had read up to that point were testimony-type books, light on doctrine but full of experiences. But here, I encountered another world. The writer took the text of Scripture seriously and thought deeply about the things of God. I became disenchanted with shallow, experience-based Christianity and longed for something with more depth. Reformed Doctrine: He preached the sovereignty of our triune God in the salvation of sinners. He emphasized the biblical truths that were rediscovered at the Reformation and exemplified by the Puritans and the Calvinist Methodists. With him you get the theology of John Owen without the Latinized prose and rather large wig, and you get Jonathan Edwards’ emphasis on experiencing the glory of God in the face of Jesus Christ. The Life of the Mind: Lloyd-Jones emphasised the importance of study and scholarship, and he kept abreast of the latest trends in secular and theological thinking. This preacher-theologian helped deliver British evangelicalism from the shallows of anti-intellectualism. Revival: “The Doctor” had a great burden for an outpouring of the Spirit on the church. He agreed with Jonathan Edwards that the church has grown throughout history as a result of revivals. The need of the hour is not “new ways of doing church,” but a heaven-sent, Christ-glorifying revival.